designtocaredaily: Ciara Reads A Powerful Open Letter To The One She Adores. Ciara Reads A Powerful Open Letter To The One She Adores. 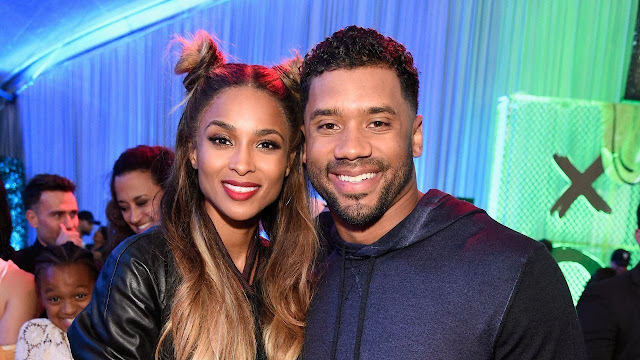 No surprise here -- Ciara and husband Russell Wilson's baby girl, Sienna Princess, is adorable. The 32-year-old singer shared the first photo of their daughter on Thursday on the TraceMe app, a gorgeous snap of Ciara in a flowy gold dress holding Sienna, which was actually taken by Wilson. Ciara gave birth to Sienna last April. "My Princess, it has been the sweetest joy having you in my life," Ciara says. "Since the day you were born, watching you grow up has been the greatest blessing a mom could ask for. You are the little girl I always prayed for and more. I’m so grateful for you." "When I look in your eyes I see the sweetest angel," she added. 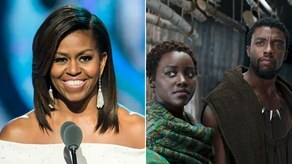 "A young Queen. A girl that’s going to be all that she dreams of, a girl that won’t take no mess, and stand up for what she wants and deserves. If I could put out my prayer list and it come true for you ... I pray that you live life to the fullest and truly make the best of it. You explore! That you will be surrounded by the right group of people, have keen discernment, and know when something's not right for you. Guard your heart, my dear." Ciara is the second celebrity to launch on TraceMe, a platform that enables fans to gain exclusive access to the worlds of their favorite celebrities, athletes, and entertainers. Of course, this isn't the first time 29-year-old Wilson has photographed his wife. Ciara spoke with ET in December, when she gushed over the "special love" she shares with Wilson. Labels: Entertainment News, Lifestyle, the Season of Love.